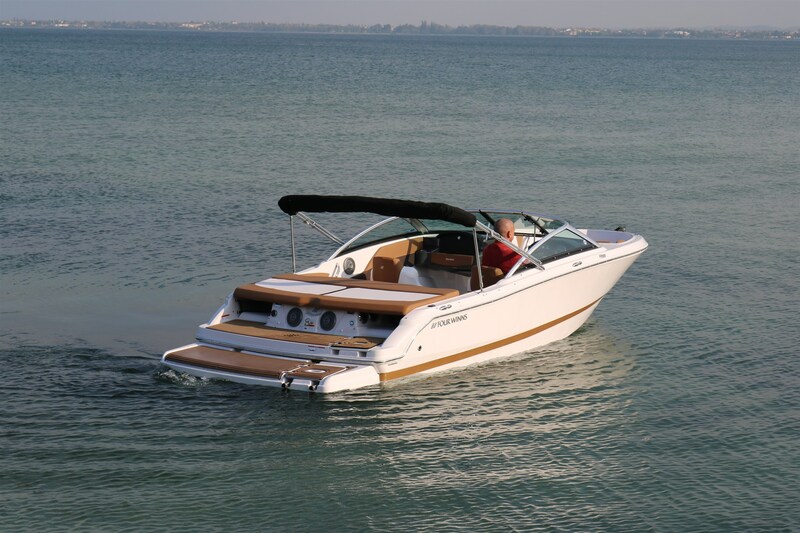 Directly from Cadillac, Michigan here is the smallest of the Four Winns Horizon 180, ver. 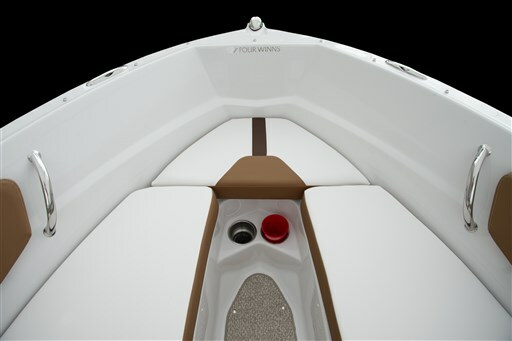 Four Winns means first of all comfort. 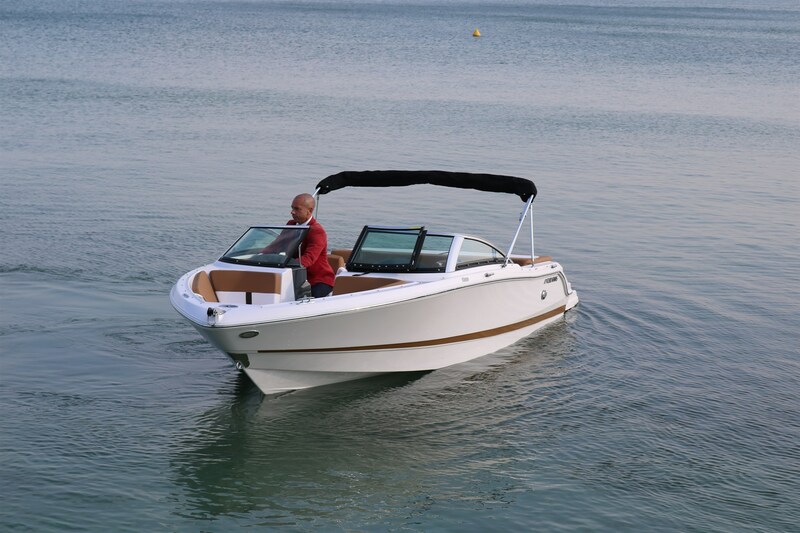 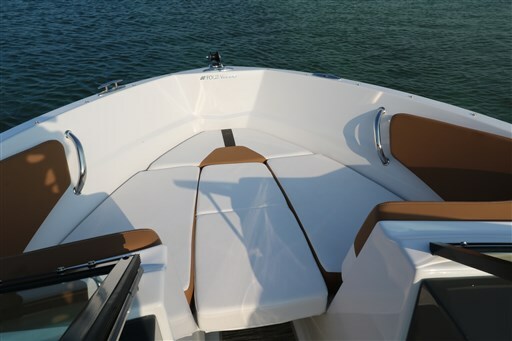 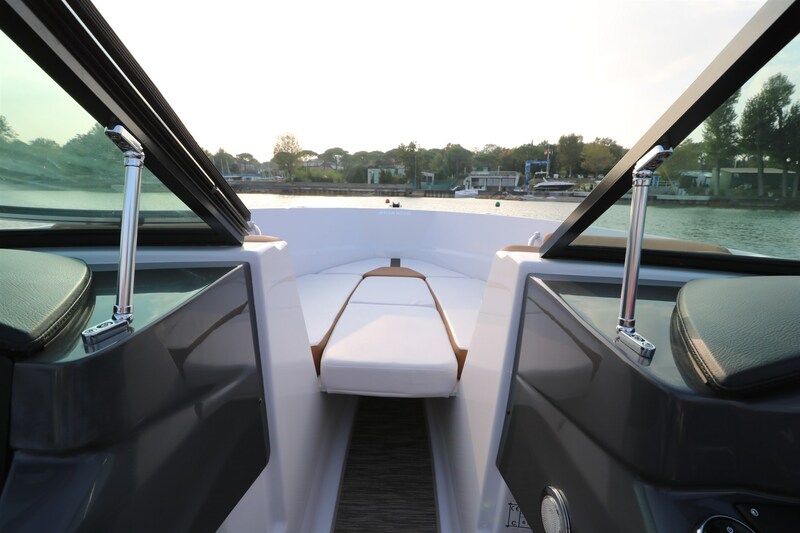 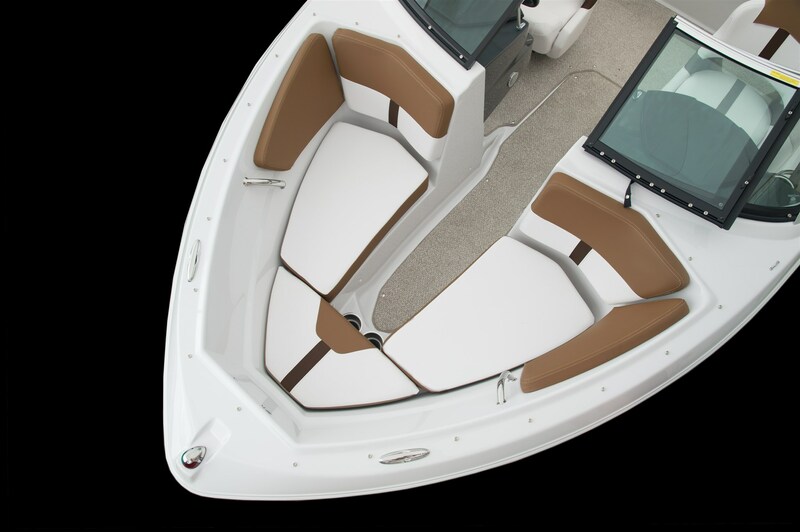 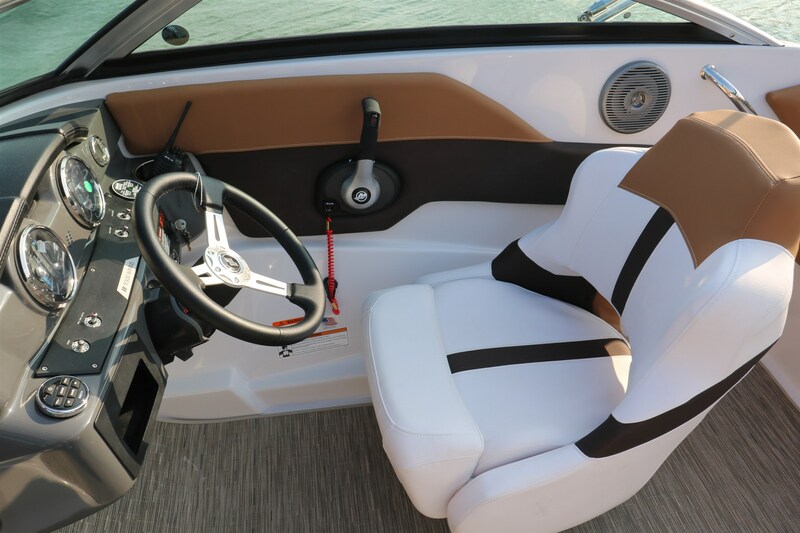 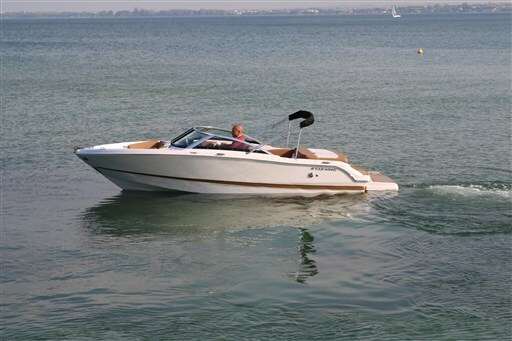 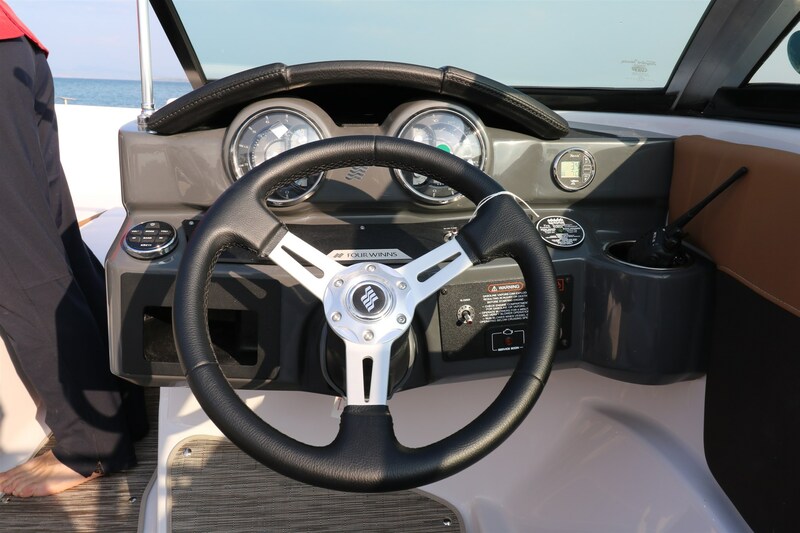 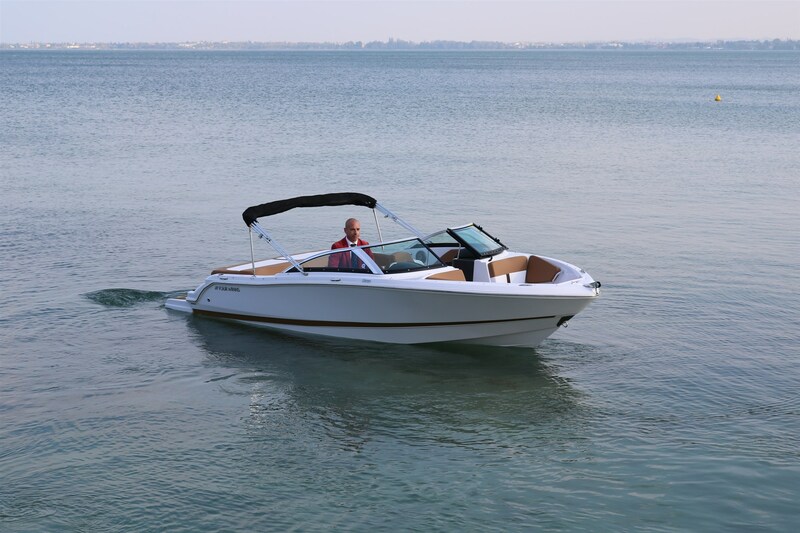 Sit in the cockpit of one of these boats mean relax, clear your mind from all worries and feel infinitely comfortable and naturally this H180 is no exception. 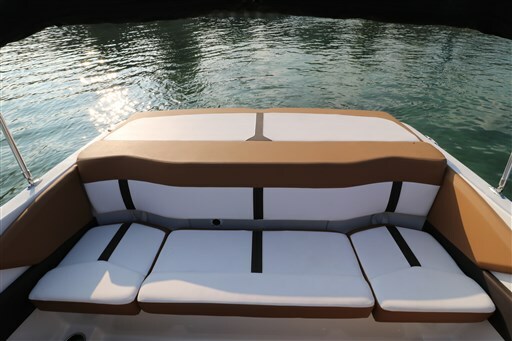 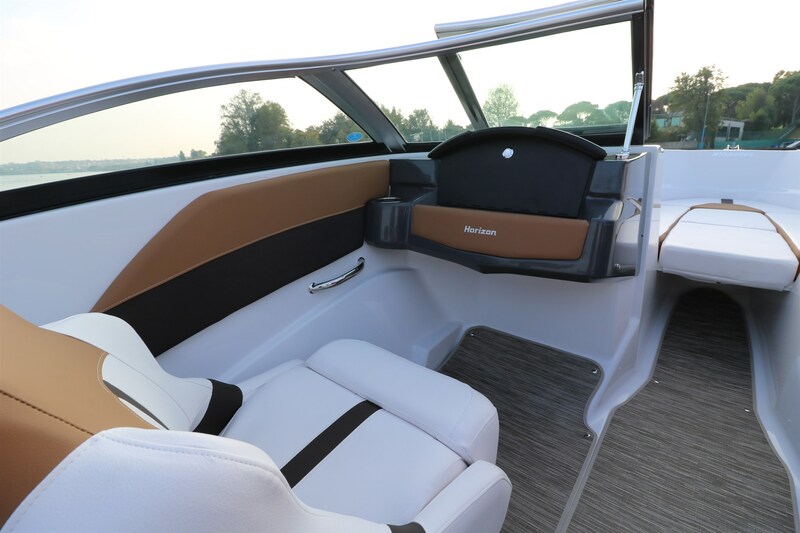 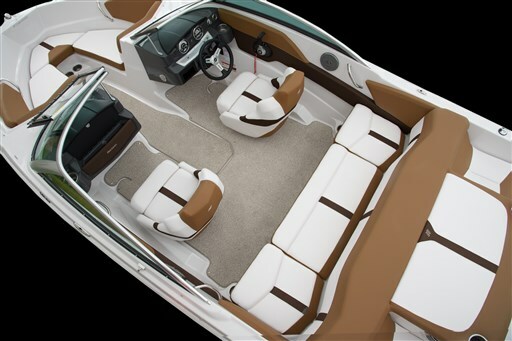 Yes, because the most striking aspect of this Four Winns is the sumptuousness of its cushions, of its finishes and details, climb aboard this boat is like entering a living room. 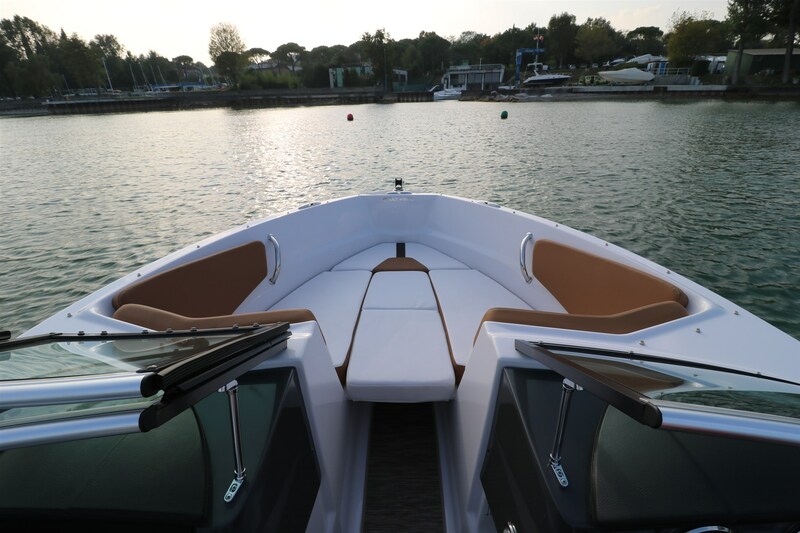 The lines of this H180 integrate elegance and efficiency of navigation. 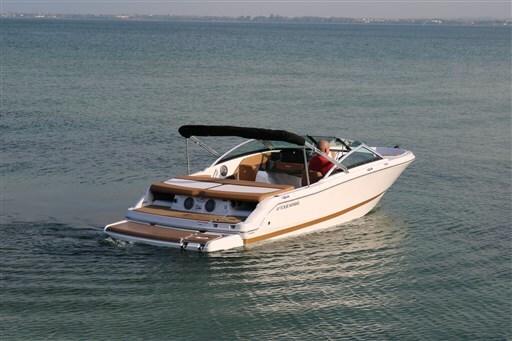 This last, as typical American House is really at the highest levels. 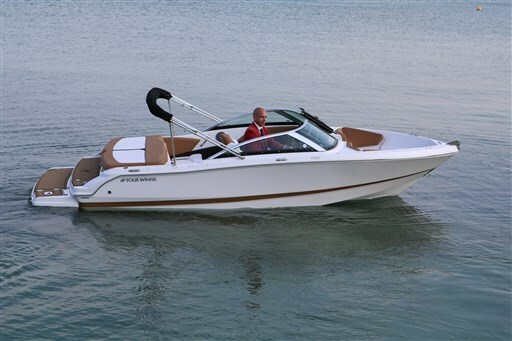 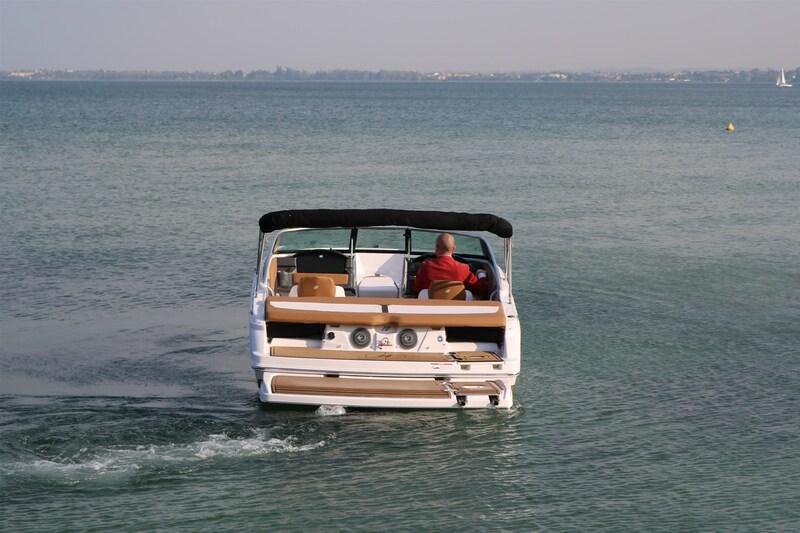 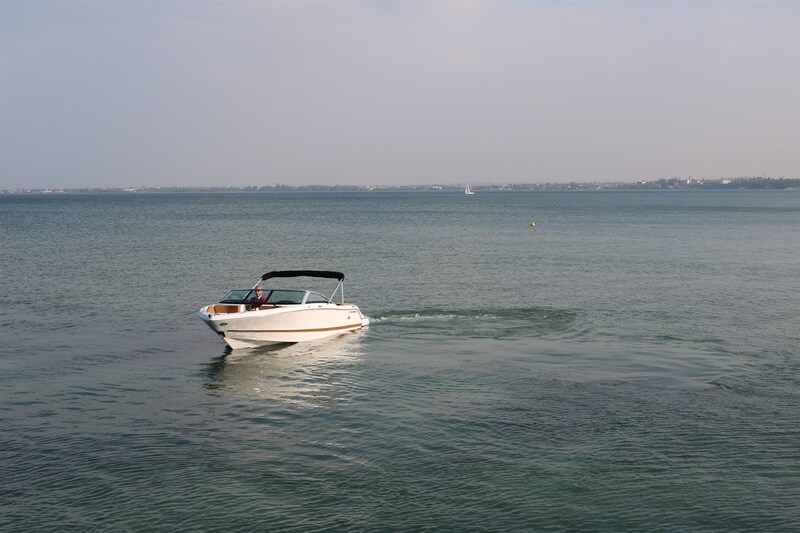 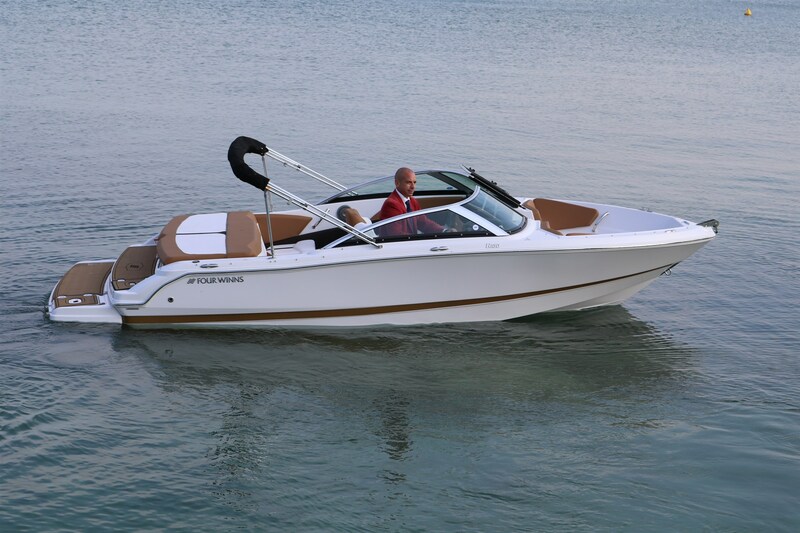 The boat sails flawlessly, gliding the hull is motionless, you forgot to roll and pitch and enjoy stability of disarming. 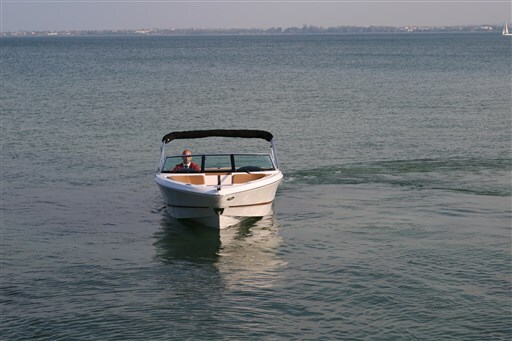 Automatic Bilge Pump, Batteries, Electric Bilge Pump, Engine Alarm, Fire Extinguishing System, Horn, Platform, swimming ladder. 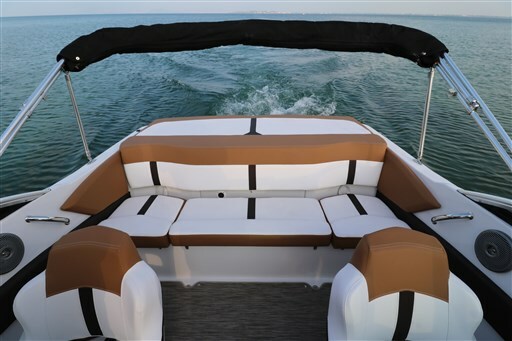 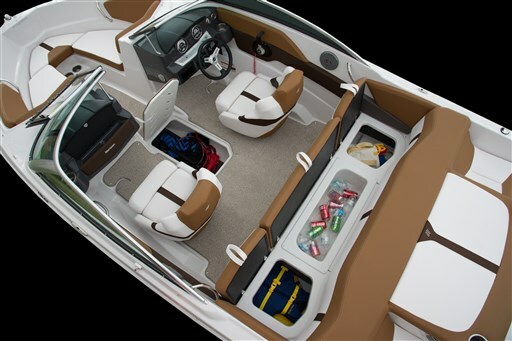 Bimini, Cockpit Cover, Cushions, Sunbathing deck, Sunshade.